What have we been doing for the past few months? We can’t wait to tell you! Wondering why we’ve been so quiet with release notes? That would be because we’ve been busy behind the scenes with two brand new solutions, Prospect Anywhere Applications and Resident Anywhere Package Tracking! You’ve never seen an online application like this. Prospect Anywhere Applications takes the pain out of applying for an apartment for both residents and managers. Nothing is more annoying than having to constantly remind your residents to come pick up their packages. We have a solution for that now! Of course, we didn’t neglect our existing solutions! Here are few little enhancements we made while we were working on Applications and Package Tracking. When a resident has scheduled payments of a fixed interval, and they end, we will send an email to remind them! This will help prevent missed payments. We added a quick little blurb to the maintenance request form reminding residents that if their maintenance request is an emergency, such as heating out in the winter, or no hot water, they should communicate directly with the community’s on-site team. 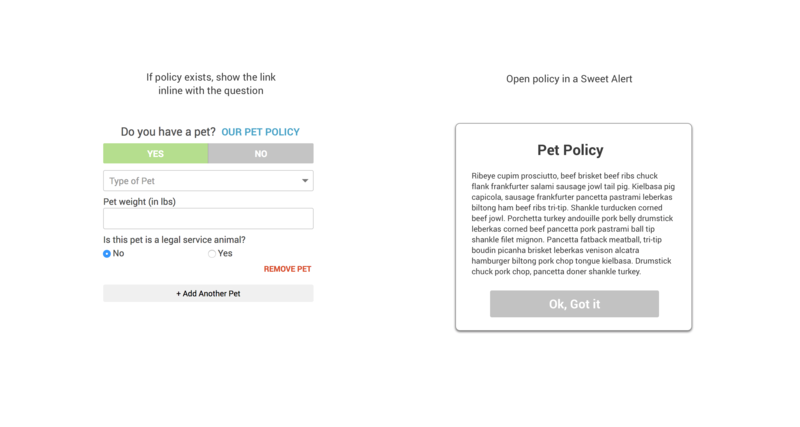 Since properties vary greatly in which pets are charged for and what the specific pet criteria will be, we added a feature to Prospect Anywhere Applications for allowing properties to add a “pet policy” to the pet question. This will then be shown to the user within the pet question form, they can click and view it. Because sometimes you just have to print out a paper copy of an online app, we added a feature to Prospect Anywhere Applications that makes it available at the click of a button. Sometimes, residents upload images at weird angles. We added an easy rotate tool to help you see what’s going on! 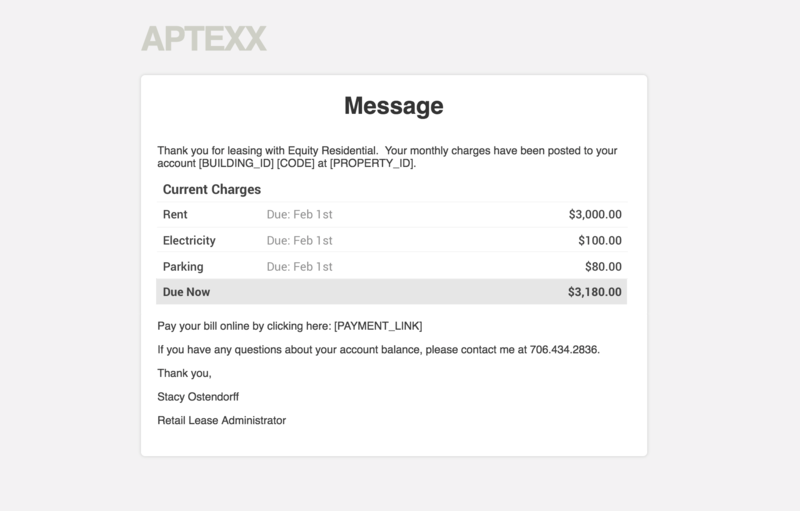 Sometimes when you’re working with a Resident or Tenant, or sending out mass message, it would be nice to automatically include a list of charges applicable to that unique resident… now you can! With the Invoice merge tag. Sometimes, you just need the raw data. We totally get that! On many different reports, we have a button for downloading results to a CSV file. We’ve recently enhanced and improved the data available, the column names, and more so that this can be an even more useful tool to you when necessary. 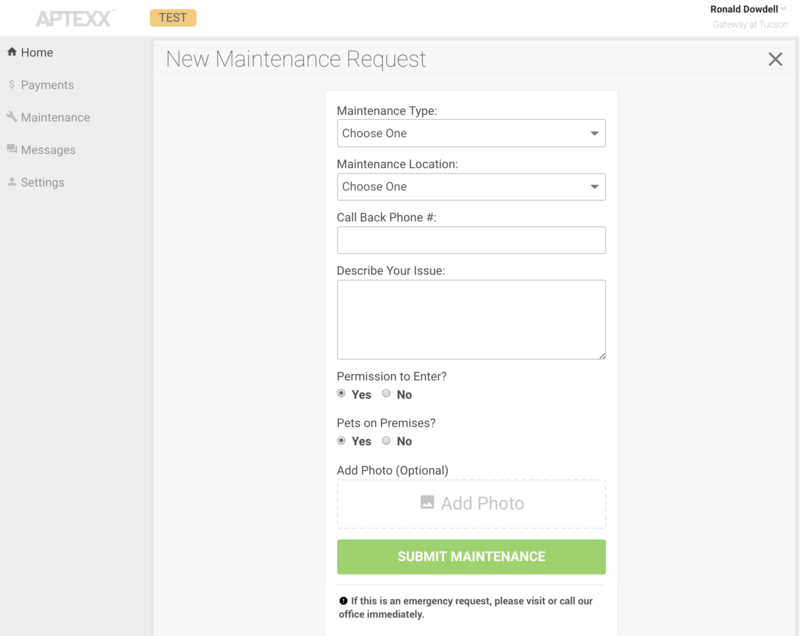 We made several key enhancements to how we read data sent by Yardi pertaining to your maintenance requests. This should make it easier to pull down descriptions and other information relevant to the job. Permissions allow administrators fine-tune control over how their Aptexx solution works for groups of team members. 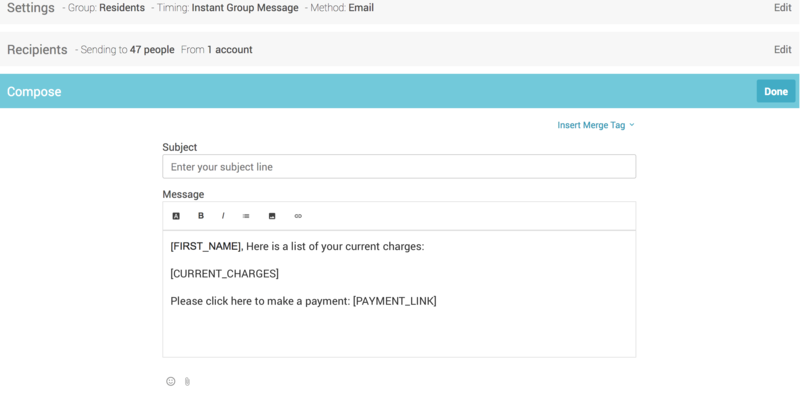 Our latest permission for message sending allows admins to control who can send messages using the QuickMessage boxes, wherever they are shown. As always, we took steps to enhance our integrations with our integration partners, as well as squash any small bugs that may have popped up. If you have any questions, feel free to reach out to our support team!